Ohio’s metropolitan economies generate over 85% of the state’s GDP and our cities are the engines for that economic output. GOPC believes place-based strategies that strengthen Ohio’s cities and metros bolster the state’s economic competitiveness. GOPC works with local, regional, and state-level partners to develop and advance policies and practices that leverage assets in our urban cores, promote city and region-wide redevelopment, and improve our cities’ vibrancy and attractiveness. Legacy cities in Ohio and across the United States were the engines of the country’s prosperity for decades. Despite population loss and economic shifts, today these older industrial communities are the home of millions of people and remain important contributors of new economic activity. Arguably, Ohio has more legacy cities than any other state in the country. 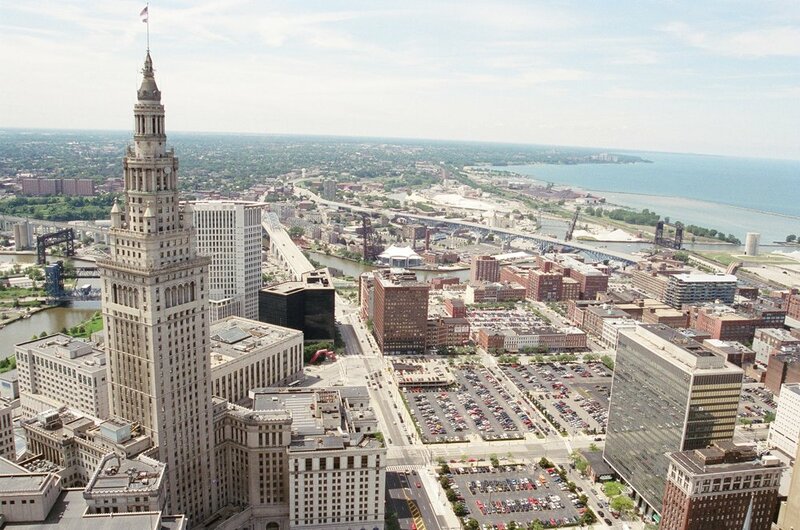 To assist these cities in regaining their full potential, GOPC brings best practices and innovative policy solutions to Ohio by conducting original research based in Ohio and nationally and substantially contributing to national networks. Greater Ohio Policy Center has emerged as a national expert on revitalization strategies in smaller legacy cities in Ohio and beyond. These cities, which have long industrial histories, population loss, and current populations of 250,000 to 30,000, are the backbone of Ohio. Nearly a third of the state’s population lives within their regions, and over a third of the state’s GDP is produced by their residents and businesses, making them important places now and in the future. GOPC understands that the obstacles these smaller cities face are unique compared to their larger peers and has positioned itself as a resource for these places. a network of Ohio’s 15 smaller legacy cities. Hollingsworth and Goebel examine the trajectories of 24 smaller legacy cities across 7 states from 2000 to 2015. Five Ohio cities are included in the report – Akron, Dayton, Hamilton, Lima, and Youngstown. Greater Ohio Policy Center conducted an analysis into how the economic health of small and mid-sized legacy cities compared to Ohio’s larger legacy cities and Columbus, the state’s only major non-legacy city, from 2000 to 2014. Like many cities in Ohio, Akron has weathered a decades-long decline in its traditional economic base that has required it to re-imagine its role in the twenty-first century economy. Noted by national experts to have maintained a competitive edge over similar legacy cities through much of this decline, this report by the Greater Ohio Policy Center examines how the city’s recent trajectory compares to similar mid-sized, post-industrial cities. This toolkit builds off Revitalizing America’s Smaller Legacy Cities: Strategies for Postindustrial Success from Gary to Lowell, a policy focus report produced in partnership by Greater Ohio Policy Center and the Lincoln Institute of Land Policy. In conjunction with the Ohio CDC Association, Greater Ohio Policy Center (GOPC) co-hosted a Webinar that examined how smaller legacy cities, from Akron to Zanesville, have fared over the last 15 years. Greater Ohio Policy Center, in partnership with the Ohio CDC Association, presented four webinars in the summer of 2015 that explained how to accomplish various aspects of commercial vacant property redevelopment and commercial district revitalization in legacy communities.